Since 1937 Sigma Xi has presented its Distinguished Lecturers. This is an opportunity for chapters to host visits from outstanding individuals who are at the leading edge of science. Lecturers communicate their insights and excitement to a broad range of scholars and to the community at large. Each year thousands of Sigma Xi members, students and the public have an opportunity to hear exceptional talks and to ask questions of experts. The Lectureship Program is supported by Sigma Xi members with additional support partnering organizations like the American Meteorological Society, the National Academy of Engineering and the National Cancer Institute. Laurie McNeil is the Bernard Gray Distinguished Professor in the Department of Physics and Astronomy at the University of North Carolina at Chapel Hill. She earned an A.B. in Chemistry and Physics from Radcliffe College, Harvard University, and a Ph.D. in Physics from the University of Illinois at Urbana-Champaign. After two years as an IBM Postdoctoral Fellow at MIT (with the late Prof. Millie Dresselhaus) she joined the faculty at UNC-CH in 1984 and has been there ever since, with the exception of sabbatical sojourns at Argonne National Laboratory, DuPont Central Research & Development, and Nanyang Technological University in Singapore. She serves as a Deputy Editor at the Journal of Applied Physics. Prof. McNeil is a materials physicist who uses optical spectroscopy to investigate the properties of semiconductors and insulators. She is a Fellow of the American Physical Society and has held a variety of leadership roles in that organization. She was the inaugural holder of the Kathryn McCarthy Lectureship at Tufts and the Dorothy K. Daspit Lectureship at Tulane and has worked throughout her career to enhance the representation and success of women in physics. 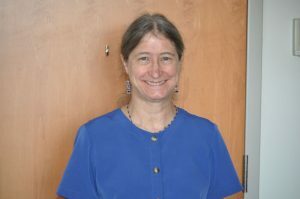 As a Chapman Family Fellow and Academic Leadership Fellow at the Institute for the Arts & Humanities at UNC-CH she led the transformation of the teaching of the introductory physics courses in her department to use research-validated, student-centered pedagogy. Together with a colleague in the Department of Music at UNC-CH she teaches a course for first-year undergraduates on the physics of musical instruments. Students in the course build their own unique instruments and give a public performance of their own compositions for ensembles of those instruments.